You are browsing the 1985 folder. What was “Disk-Based” MacWrite, and how did it differ from previous versions? Some people assume that the “Disk” in question refers to where the program is stored — that this version is somehow different from a previous version stored in ROM. But the term actually refers to where documents were saved. There were two Macintosh Technical Notes issued by Apple on MacWrite — one for the Memory-Based version, and one for the later Disk-Based. As early as December 1984, rumors were flying about a revision that would remove the limitations of the memory-based approach. Encore was the company which originally authored MacWrite. A May 1985 article from InfoWorld seems to suggest that 4.5 was a substantial rewrite with new features. Andy left Apple in March 1984, even before Jobs, his mentor, was bounced out of the company. Working on his own, often without prospect of payment, Andy set about supporting the computer in which he had invested so much passion. Working as an independent programmer, he wrote Switcher, enabling Mac to handle more than one application at a time; besides licensing the program to Apple and others, he distributed it electronically, for free. My own personal setup involves a Macintosh XL with 1 megabyte of memory. I’ve got two Switcher documents or sets that I use frequently. The first is my day-to-day set which includes MacWrite configured at 144K (so I can print to the LaserWriter), MacDraw, MacPaint, Multiplan, and Red Ryder, all at 128K, and the Finder at 128K. My second set is for creative work and I use it for preparing sales materials, manual mockups and intimidating memos. 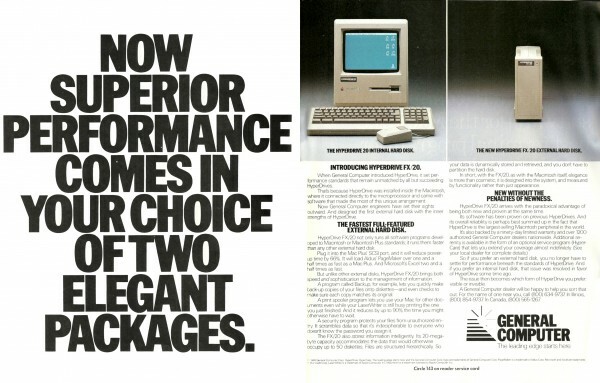 Try MacWrite at 144K, MacDraw at 128K, MacPaint at 128K and PageMaker at 256K. (Note these configurations are only for XL users or Macintosh owners with 1-megabype upgrades.) For manual production, create MacPaint readable screen dumps of the illustrations you want to include by typing the Command, Shift and 3 keys simultaneously. Touch up the screen dumps in MacPaint, copy them to the Clipboard, switch to MacWrite and paste them in the appropriate spot. At home on my 512K Macintosh I use Switcher with the Finder, Dollars & Sense, and Red Ryder. When I’m doing my home accounting I can quickly access my electronic banking service and make certain that all my electronic transactions are included in my Dollars & Sense ledger accounts. On January 24, 1985, at the annual Apple Shareholder’s meeting, Steve Jobs previewed to an amazed audience an even more amazing piece of code that let Macintosh users switch between different applications almost instantly. That software was, of course, Switcher — written by Andy Hertzfeld and the origin of an idea which would result in MultiFinder. What is interesting about this particular software demo is that Jobs himself showed off software which was written outside the offices of Apple, and by an engineer who was in the process of separating himself from the company. Further, despite “dazzling the crowd,” according to InfoWorld Switcher was an unquestionable move away from the one-screen simplicity of the original Mac. We can trace Steve’s interest in one-task-at-a-time computing to the abandoned “Single Window Mode” of Mac OS X Public Beta, to the iPhone and iPad, and finally the Full-Screen mode of OS X Lion.